Ah summer, we’ve been expecting you! As the first rays of sun begin to pour through our windows, we can’t wait to dig out our summer clothes and get outside. But sometimes the thought of having to flash the flesh we’ve been contently hiding under our sweaters and leggings all winter fills us with dread. All of a sudden those extra pounds from comfort eating throughout the colder months no longer have a place to hide. Fear not though fillies – help is at hand from SlimFast with its hassle-free fully planned diet plan. 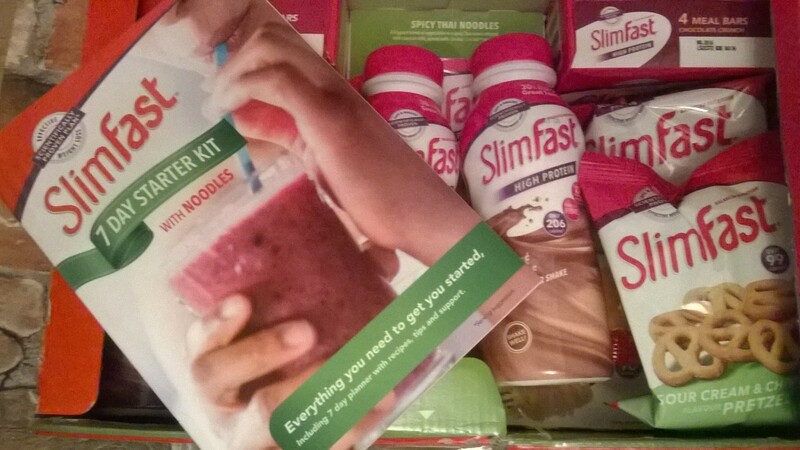 The SlimFast Starter Pack with Noodles has just landed on the doorstep of FDJ LDN HQ, and I can’t wait to try it. In fact, having peered into the contents of this box of treats, I’m actually excited to be starting a diet (how often can you say that and mean it?!). With meals and snacks included for a whole week, it’s a no-brainer, taking out the guess work of calorie-counting, point-adding and all those niggly annoyances of trying to devise a way to shift that extra weight. The pack contains shakes, meal bars, snack bars and snack bags, along with the new noodle boxes. The only thing you need to make yourself is an evening meal and even this is pretty much sorted for you, with recipes and ideas included for delicious dinners that keep you on track for weight loss. I’m particularly looking forward to trying the noodles. “Noodles, on a diet?” you say! Well yes, über low-calorie konjac noodles to be precise. Made from the konjac plant, they are the latest craze in dieting, as they are super filling while containing only around 8 calories per 100g. 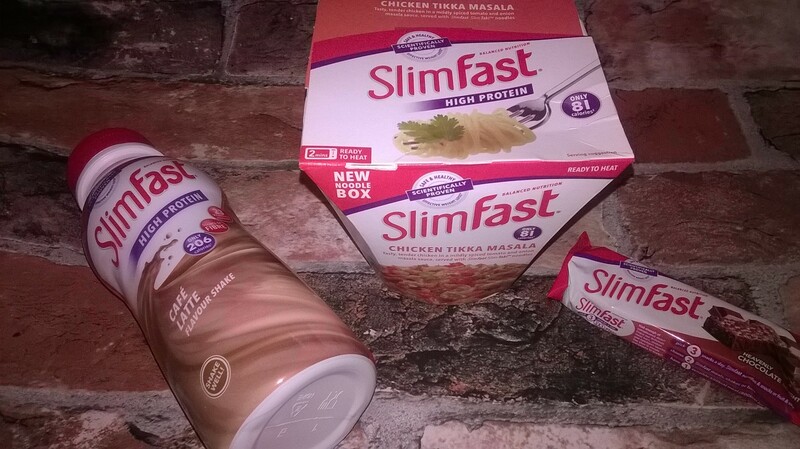 SlimFast’s Starter Pack has three packs of these in Spaghetti Bolognese, Spicy Thai and Chicken Tikka Masala flavours, all coming in under 90 calories a pot. The beauty of this plan is the sheer convenience of it. Whatever your lifestyle, you’ll find food that is both enjoyable and nutritious and handy for grabbing on the go. The shakes are the perfect breakfast to take with you as you’re dashing out the house, and the noodles are easy to prepare whether at home or in the office. The snacks and meal bars are the ideal at-your-desk option. What is so great about the Starter Pack is the ability to give the products a try to see how they work for you without shelling out for a whole month’s worth straight out. Or perhaps you’ve got a big party, wedding or holiday, for instance, coming up and just want to lose a few pounds to fit into a certain outfit or to help you feel more body confident? This really is a great answer – conveniently delivered straight to your door. So I’m about to give it a bash as part of my “New Year, Fresh Start” mantra – small changes that are easy to keep. Having tried some of the great shakes and bars before, I’m thrilled to get started tomorrow and, of course, tell you guys about my findings and results. Tomorrow Leigh and I are going to be on hand to answer your questions along with some other fantastic bloggers as part of the #SlimFastLunchClub on Twitter. Join us for a natter over lunch this Monday 23rd May where we’ll be sharing hints and tips. Yes Melissa! It all looks quite do-able around my busy schedule…we shall see how it works out, but so far my fave is the noodles! They are yummy! Ahhh, I tried the SlimFast blogger challenge last year but unfortunately it didn’t agree with me and left me feeling so ill, because of its high lactose. It was gutting as it seems like such an easy scheme to follow. I remember those pretzels being DELICIOUS though! OH DEAR!!! Leigh, that DOESN’T sound the one at all. Yes I suppose a diet (as it was at the time) that is based mainly on shakes would not be one for someone Lactose intolerant ;( It seems the plan has changed a bit with a more varied food offer with things like the noodles and the pretzels/crisps/bars…we shall see how it works for us. Yeah, we were pleasantly surprised when we opened the box too! Thinking those shakes are going to be a lifesaver for brekkie on the go – the caffe latte sounds lush! I’ve never tried Slim Fast, to be honest I prefer eating actual meals rather than shakes and bars, but they do sound tasty! Sounds intriguing – I love that so many products are packing a protein boost now! Us too! It seems a lot of the product offer has changed for the better and with the addition that you can add fruit as a snack, there are noodles to be had AND you can have a “proper” evening meal…the plan sounds more do-able than just having shakes and bars! 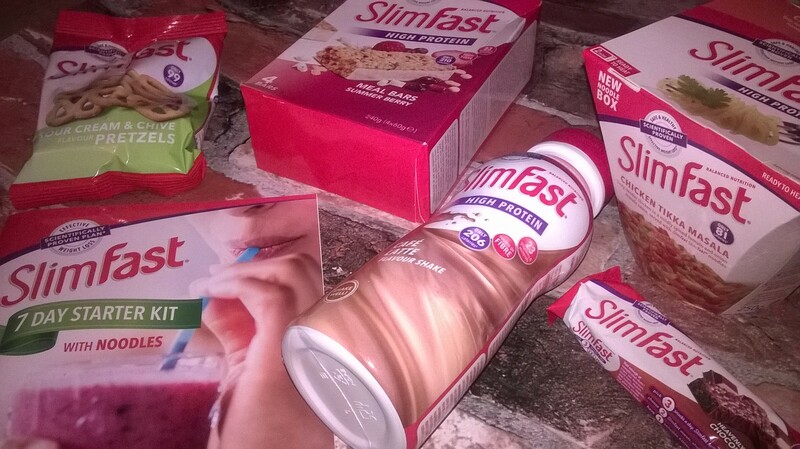 I’ve never tried Slimfast but actually, the stuff looks pretty good. Ive never tried slimfast its not really my cup of tea but its good to see they have a wide range of products now! I was totally the same – was like “how can I live on just shakes and bars? !” – so was very pleased to see the variety of snacks and that you have a proper meal too…let’s see what happens! Sorry to be a negative nelly but I got really ill when I was on Slimfast, just be careful! I must admit I still get the sour cream pretzels every now and again – so good :). Not at all Jess!!! Love to hear people’s experience as then can prep for our own 😉 Will definitely take care…it seems that perhaps the brand has taken a lot onboard and hopefully tweaked the plan accordingly? Will be so interesting to see what happens 😀 Yeah, the pretzels are YUM!